Preston win 10-9 on penalties. 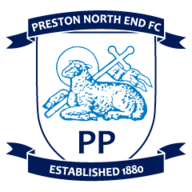 Preston beat Oldham 10-9 in a mammoth penalty shoot-out after a 2-2 draw in 90 minutes to earn their place in the Johnstone's Paint Trophy Northern Section semi-finals. North End goalkeeper Thorsten Stuckmann scored the decisive kick after his Oldham counterpart Neil Etheridge had blazed over the bar. During an end-to-end tie, Preston went in front after 32 minutes as Scott Laird converted a fine diving header from 10 yards after Tom Clarke's pinpoint cross. 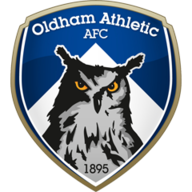 Oldham made a triple substitution at half-time and within a minute of the restart substitute Jonathan Forte superbly picked out Dominic Poleon to slot home a close-range equaliser. Preston's Kevin Davies headed against a post but Oldham led after 59 minutes when Forte claimed another assist by teeing up Danny Philliskirk, who calmly found the bottom corner 10 yards. Etheridge pulled off a brilliant reaction save from Jermaine Beckford but the keeper was helpless after 80 minutes when he saved Paul Huntington's initial effort but saw Clarke bundle in the rebound from point-blank range. Davies could have won it for Preston but they edged through in a shoot-out which saw all 22 players take a penalty.